If you have ever thought about building a website or a blog, WordPress must have been a top of mind recall. WordPress is an online, open source blogging and website content management system. 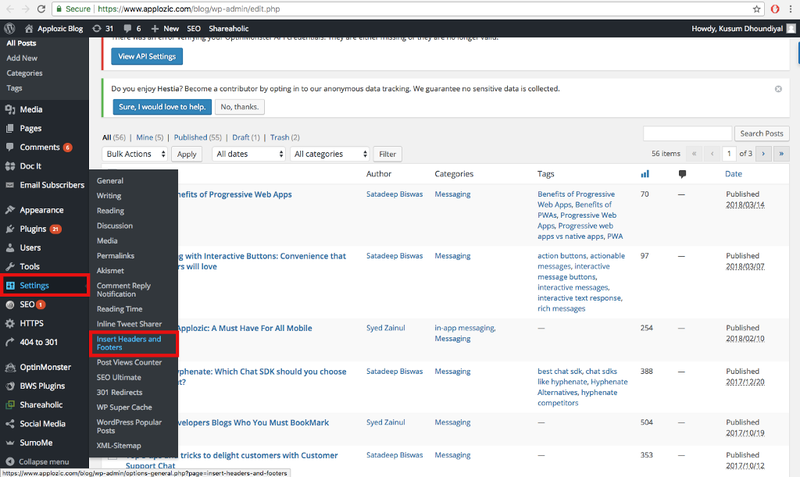 Can't wait to try out the wordpress live chat demo? It powers a whopping 20 million websites on the internet. It is easily the most popular option for anyone looking to build a site (be a tech or non-tech guy). Nearly 30% of world’s top 1 million sites are powered by WordPress. What gives WordPress an edge over other players is the amount, quality and accessibility of plugins to add numerous features in your website. 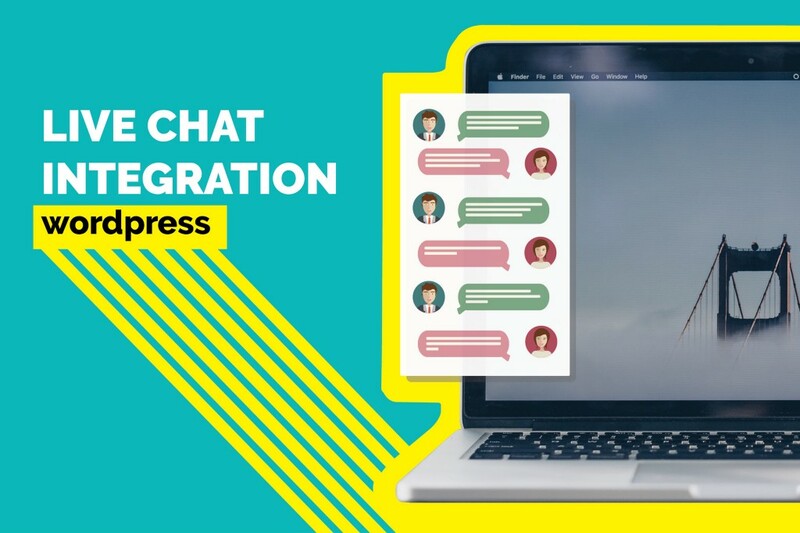 In this post, I will guide you through simple steps to add a live chat plugin on your WordPress websites. 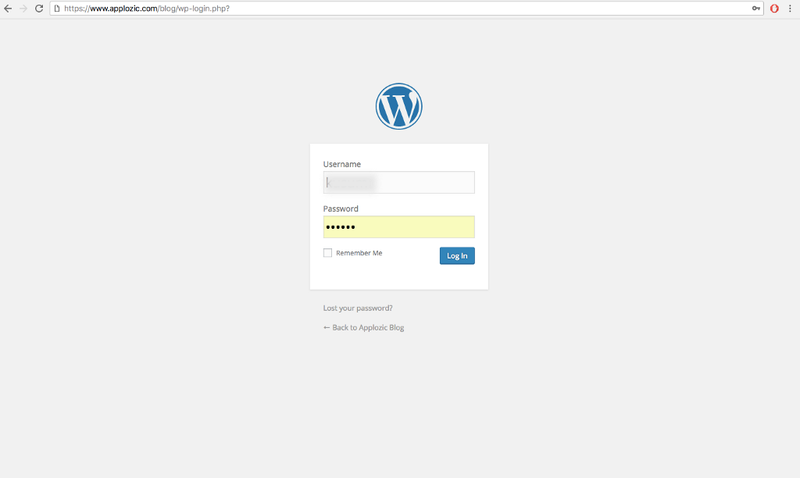 Simply log in to your website’s WordPress dashboard. From the left navigation panel, click on Plugins. Thereafter, click on Add New. Navigate to the search bar and search for ‘Insert Header and Footers’. You will see many options on the search result page. 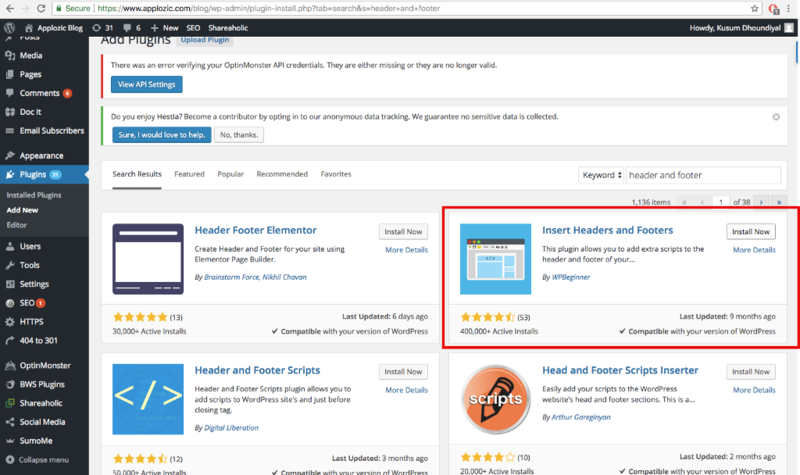 Click on the Install Now button for the Insert Headers and Footers plugin. Please make sure you Activate the plugin to make use of it. From the left navigation menu, click on Settings. Select Insert Headers and Footers from the Settings menu. 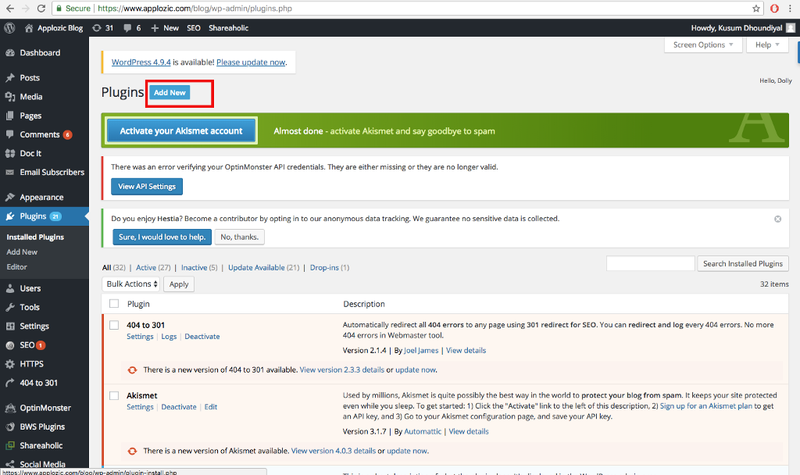 Signup for Kommunicate for free, and copy your live chat plugin script from Kommunicate dashboard -> Settings -> Install. 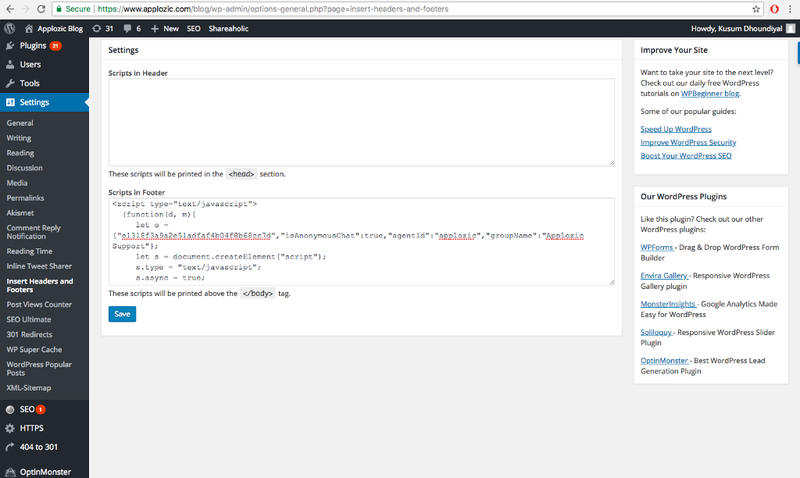 Insert the copied script in the Script in Footer section of the Header and Footer console. 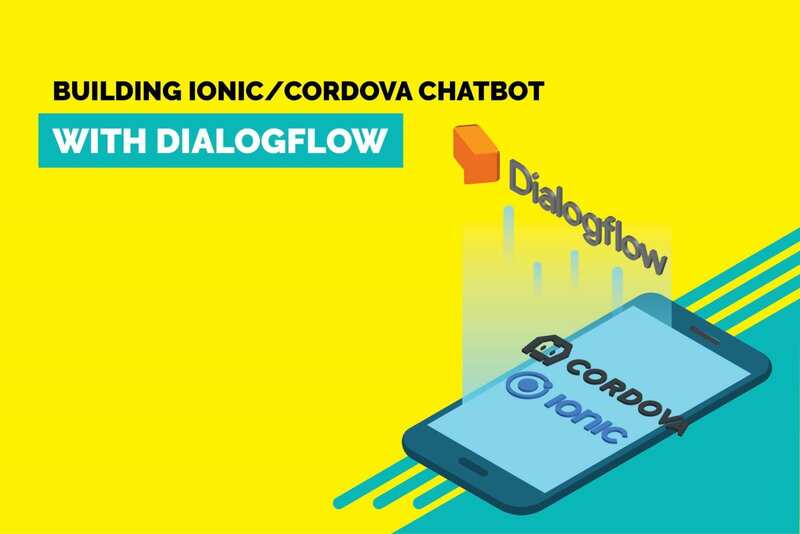 Open the website and check out the chat plugin. You will find it in the bottom-right corner. 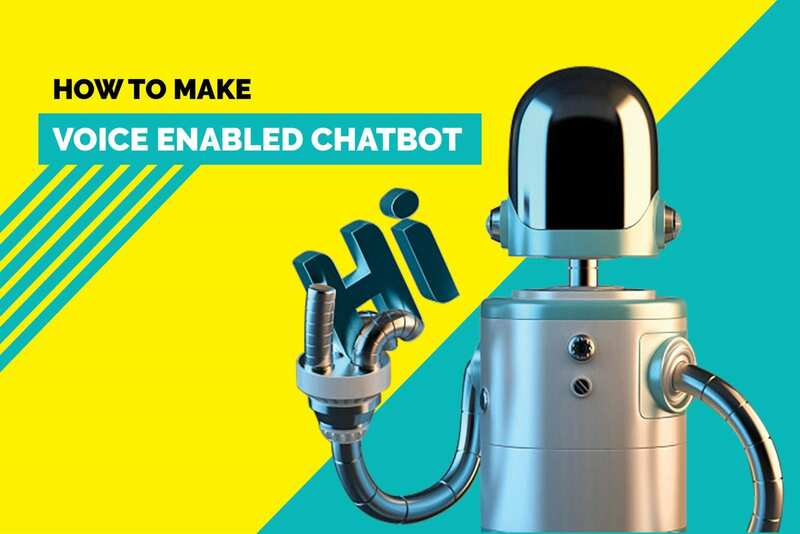 Now your website visitors can chat effortlessly with you. You can manage the conversations and appearance from Kommunicate dashboard. 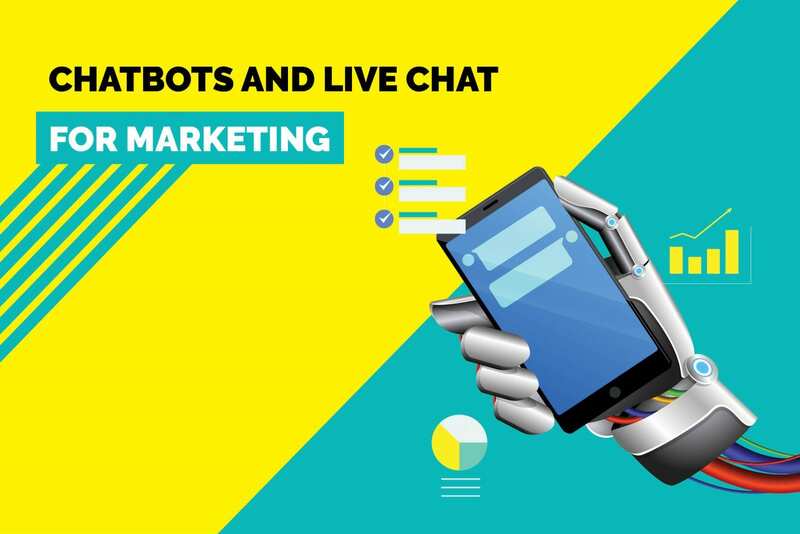 Adding live chat on your WordPress websites and as easy as it gets and does not require any coding skills or technical knowledge. Leverage the live chat to interact with your website visitor and customers easily. P.S. — I thank Kusum from Kommunicate Team to put together the flow for adding live chat plugin in WordPress Websites.